Take your production to the next level with an industrial LED sign. With over 45 years of experience serving American industry, we have continually modified and adapted our industrial LED displays to service all areas of the industrial process. Our FactoryVision line of Andon displays, marquees and process control boards meet the needs of a high-intensity, fast-paced environment with the ease of creating and updating messages in just a matter of seconds. With standard row column layouts, multiple page full text and graphics, and full-motion video replay, you can communicate every detail with the industrial and manufacturing process. FactoryVision Pro industrial displays integrate seamlessly within existing manufacturing intelligence and data collection systems to meet the high-visibility, clear communication needs of any manufacturing or warehousing operation. Communicating with our employees is critical for a productive manufacturing process. The FactoryVision Pro features best-in-class high-brightness LEDs, which are 5x time brighter than an LCD display. The full color and tight pixel pitch allows for increased versatility and clarity of important information. The lightweight frame makes it easy for installation and is field serviceable. Electro-Matic's industrial LED displays are designed to sustain the rigorous and fast-paced manufacturing environment. We have fine-tuned our software to allow for easy updating and to dynamically display messages to diverse audiences. Industrial LED signs offer an effective way to organize and unify the manufacturing process to make sure all parts are working together seamlessly and efficiently. 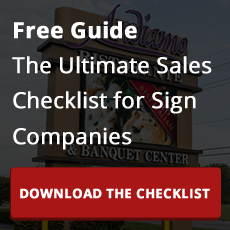 With hundreds of ways to dynamically communicate updates and messages, our signs eliminate error and the needs for a middle-man. streamline all communication within the manufacturing process. Whether you're looking to a company-wide communication system or one board to relay messages to employees, our FactoryVision line is the perfect addition to your industrial and warehousing operations. The auto manufacturing industry is a high intensity, face-paced industry. General Motors of Lordstown was looking to increase their production and efficiency, all while keeping costs low. Electro-Matic Visual Solutions installed cutting-edge industrial LED displays to do just that. Electro-Matic’s introduction of state-of-the-art automation technologies has allowed the Fabricating plant Manufacturing facility to continuously improve our manufacturing eﬃciencies and lower production cost. Lean manufacturing and visual factory management represent the next generation of manufacturing. These systems rely on real-time information and feedback regarding the status of the plant to achieve success. The Factory Vision® line of marquees, Andon boards and process control board industrial displays provide the perfect answer to all your communication needs in the industrial environment. They open a window to factory performance and supply the foundation for a company-wide “nervous system”, ensuring all employees understand how they affect the factory’s overall performance. Specifically designed to integrate seamlessly with manufacturing intelligence and data collection systems, the board's embedded Pentium PC processor allows for maximum throughput speed in combination with multiple input sources. The Factory Vision® industrial display product line was designed with extremely low life cycle cost as a major design criterion. This has been achieved through the use of premium LEDs, ultra efficient power handling and modular mechanical design. You can expect the FV family of products to provide exceptional ROI with high Mean Time Between Failure (MTBF) and very low Mean Time To Repair (MTTR) characteristics. Without sacrificing viewability, FV products keep your life cycle cost at a minimum with leading edge technology aimed at the maximum in reduced energy consumption. The Full Matrix family of robust industrial LED displays has been developed to meet the needs of a variety of manufacturing applications. Factory Vision® displays are capable of standard row column layouts, multiple page full text and graphics, or full motion video replay. With on-board sound options, these displays meet or exceed the needs of any visual factory management system. On board Pentium PC Processor (optional in marquee sizes). Windows 2000 or XPe included. Hard Drive or Compact Flash Drive options. 10/100 Ethernet included with computer-based units. Serial ports standard on Non-PC marquee versions. Boards are capable of row/column layouts, Full Text and Graphics, or Full Motion Video replay. Configuration software included for board layout and communications. Programming and setup software is consistent across the entire product line for all PC based units. Embedded Pentium processor capable of running most HMI software on board with computer option. Boards can be configured either locally or remotely via Ethernet. Capable of up to 32 independent data source inputs including direct input from a variety of PLC’s, Windows or Unix based data collection and monitoring packages, etc. Remote communication software included- VNC included or optional PC Anywhere™ password protected Remote Communication and File Transfer software on larger sizes. The Factory Vision® family of full color matrix marquees and process control boards gives you unprecedented flexibility not only with layouts but now color as well. Specifically designed to integrate seamlessly with manufacturing intelligence and data collection systems, the board’s embedded Pentium PC processor allows for maximum throughput speed in combination with multiple input sources. All this and 262,000 shades of red, green and blue colors including white. 262,144 shades of color at 30-60 frames/second updates. Embedded Pentium processor capable of running most HMI software on board. PC Anywhere™ password protected Remote Communication and File Transfer software on larger sizes. Programmable Device Support (PDS) compliant for automated configuration back-up. Built in Web Server to enable remote viewing of what is on the display using Internet Explorer. Screen Capture software included with computer option. Windows Net Meeting and Windows Media Player video display software included. Compatible with NETCON Technologies Marquee Manager™ software. An Andon Board is a visual production control device which can continuously show the changing status of a production line. You may also commonly hear an Andon board referred to as a Process Display board, Bingo Board, Factory Display, Lean Manufacturing Board, LED annunciate, Electronic Message Center, or Process Control Board. Our Andon board displays can be as small as one line of text, or as large as twenty lines of text, in a variety of widths. Single or double sided configurations. Anti-glare and anti-scratch polycarbonate protective screen. Fully flexible controller for the real-time display of all text, graphics and video information. Optional on-board embedded Pentium class low power processor, requiring no fan assisted cooling. 2GB Solid State Drive with no moving parts. Full feature graphic development software for Text/Graphics/Video. Easy set up, with all system features configurable via software control panel in real-time. Sound output for audible alarm, music, or speech via optional speakers (up to eight speakers per system) with remote volume control. Compatible with Activplant™ (formerly Visualplant™), Wonderware™, SCADAware and NETCON Technologies Marquee Manager™. Can communicate with proprietary protocols like Ford POSMON, GM Protocol, and Chrysler FIS. Web server installed with real-time remote access to display. Viewing distances of 3 feet to more than 500 feet. The Factory Vision® industrial display bundled software includes utilities to streamline your integration and give you maximum connectivity options. FV marquees and andon boards allow direct linking to a variety of PLC’s, plus communication via Ethernet to server based systems such as Activeplant™ (formally Visualplant™), Wonderware™, and NETCON Technologies Marquee Manager™. In addition the FV family of display boards can communicate to numerous proprietary protocols such as Ford POSMON, GM Protocol, Daimler Chrysler FIS, etc.